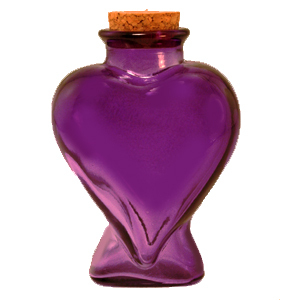 7.6 oz Purple Heart Reed Diffuser Bottle is a romantic silhouette with a modern look. 4 3/8" tall. 3.25" wide. 2" thick. 1.25" opening. For long-lasting fragrance it holds 7.6 oz Purple Heart Reed Diffuser Bottle.